Place the 3dhippie_stereoCam_startup.ms inside …3dsmax/scripts/startup. Next Run the 3dhippie_stereoCam.ms inside of 3dsmax to create a new camera. Feel free to use it as much as you like. It would be really great though, if you could send me your stereo images or videos to put into a gallery. I’m especially interested in your experiences with the floating frame. Crits and comments are also extremely welcome. They will certainly improve the next versions. Look out for upcoming video tutorials. step 1 : If you already have a camera selected in your scene the script will ask if you’d like to position the stereo camera at the currently selected camera’s position which is much more useful than just running the script. The focus as well as the new lookat target’s position will be identical as the one from the original camera. step 2: To move your camera select the main controller and move the cameras wherever you want. You can aim your camera by moving the lookat-controller. This is not the same as the focal point, which you can position manually as well. If you move the camera or the focal point you will see the distance between cameras grow or shrink, this is because the camera-rig defaults to an automatic interocular distance (default 1/30 of the distance between camera an focal point). You can change the distance manually inside of the main controller settings. Move the camera focus where you want it. Unfortunately the focus is not animatable (you could, but the 3d will be messed up). 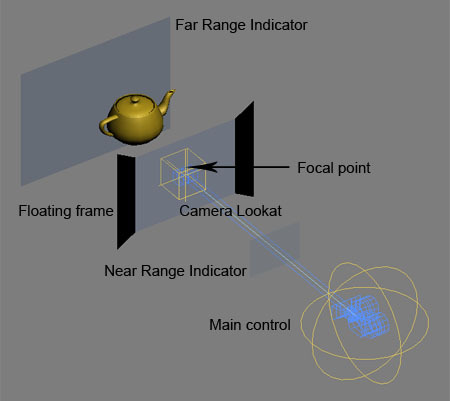 The focal point is where objects are on the screen plane. Everything behind the focus will look like it’s behind the screen and everything in front of the focus comes out to the audience. To see what your camera is seeing use the centerCam. The output of the other camera’s will be cropped accordingly. step 3: make a preview render by clicking “preview render”. This will render two images, one for the left eye (cam02) and one for the right eye (cam04), and then shortly after a new image will pop up witch is the anaglyph combination of the two. step 4: If you are happy with the results (3d is strong enough? does anything cause eystrain?) go to the renderscene dialog and set the desired framrange. Define a renderoutputfile. All images will be saved with that name plus a prefix ‘left’ or ‘right’ and a number. step 5: switch to a compositing program to combine the movies to an anaglyph movie. You can find the settings and renderbuttons if you select the main control and go to the modify panel. Field of view: sets the field of view for all cameras. camera distance: sets/shows the distance between each camera. It operates in two modes. If auto is turned off, the cameras keep the exact distance you defined. If auto is turned on (default) the distance changes with the focal distance. auto: If on, the distance between the cameras always stays at a given percentage of the focal distance. (e.g. focus is 90 units away, auto is set to 1/30, camdist will be 3 units). camera seperation: A quick way to change the auto value to a preset. Preview: renders two images and combines them to an anaglyph image (it’s pretty fast but depends on imagesize and and machine power). render stereo: renders the left and righ cam and saves it at the location you defined in the render scene dialog. If finished starts rendering cam04. You can define the renderoutput filename and path in the renderscene dialog. The files will be renamed yourname_cam02_xxxx and yourname_cam04_xxxx. ranges: Indicates how far objects may extend in or out in the scene before the interoccular distance becomes hurtful to the viewers eye. They are in % of the distance between camera and focus. The ranges are only a rough reference to the animator. floating frame: The floating frame extends the video frame into the audience. This is useful if an object penetrates the image borders. The eye can’t decide what is in front, the object or the frame, which leads to irritation and headache. You can adjust each corner of the floating frame individually. It’s important, though not to extend it to far into the audience as well. Treat it as an object itself. 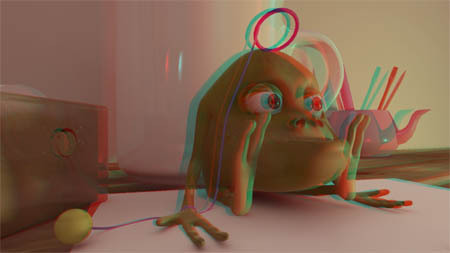 This rig is based on the stereoscopy video tutorials by Louis Marcoux (http://www.louismarcoux.com/MaxTips.htm). Thank you so much, mr. Marcoux. a good read about stereo 3d. Der Beitrag wurde am Donnerstag, den 13. August 2009 um 23:26 Uhr veröffentlicht und wurde unter Downloads, tutorials abgelegt. Du kannst die Kommentare zu diesen Eintrag durch den RSS 2.0 Feed verfolgen. Du kannst einen Kommentar schreiben, oder einen Trackback auf deiner Seite einrichten. Hi!! The rig is amazing! Can you add an option to make the cam targets to converge? Because I’m working on postproduction. And here shot the live action whit two cameras whit convergent rig. Whit that system is unnecessary displacement between images. and thank you for you shared !!! thank you and congratulation for your work !!!!! thanks a lot. should be no problem to use vray cameras instead. I will install the vray demo and look what can be done. did you find a solution for the vray camera ? hello, and bravo for the plugin! fur somme reason the preview is not working for anaglyph. only for side by side… any idear why? great use of scripting power of 3ds max. Hi rahu. You will get this error only, if the startup file is missing, or if you haven’t deleted the old one. Try running the correct startup file once from the maxscript/run. This will reset all functions. Also be aware: older cameras and newer ones are not compatible. 1 – Is there a way to save the preview anaglyph files so I can use the RAM player to convert them to a single AVI file? 2 – I did not find the render setup window, where is it? This is a very good script. Thanks. 2) There’s no special render settings dialog. Use the default render settings dialog from max. Have you tried 3d without using glasses.I saw the effect created years ago on tv.The person who accomplished this used a camera he invented that had an oscillating or rotating lens in it.You may have seen the coke ads that used this effect. There was also an arcade video game about snowboarding that used it. My point is that you should be able to recreate the effect with a script in 3d max. Please give it a try. Because tv in those days was interlaced it may only work in that mode. Thanks for the anaglyph camera. Schickes Script, das Du da gezaubert hast! Aber könntest Du mir erklären wann und wie ich die Floating-Frames nutzen sollte?? Hi. Ich werde demnächst ein Videotutorial dazu veröffentlichen. Bis dahin: Der floating stereoscopic frame (fsf) stellt eine Erweiterung der Projektionsfläche dar. Mit ihm kannst du das gesamte Stereobild in der Räumlichkeit verschieben. Das ist notwendig wenn Objekte, die zwischen Kamera und Screenplane schweben, vom Bildrand angeschnitten werden. Das Gehirn kann den Konflikt nicht Lösen: Das Objekt behauptet aufgrund seiner Parallaxe vor der Leinwand zu sein, und die Leinwand behauptet aufgrund der Verdeckung vor dem Objekt zu sein. Die Konsequenz sind Abflachung des Stereobildes sowie Kopfschmerzen beim Betrachter. Wenn du den fsf nach vorne bringst, wird der Konflikt gelöst, denn die Bildbegrenzung hat durch den fsf selber eine korrekte Räumlichkeit erhalten. Also in einem Satz: Wenn ein Objekt den Bildschirmrand schneidet sollte es immer hinter dem fsf geschehen. I tried the Anaphyph setup and it works very well. I am now trying the Polarized setup. How do I see the final result? What kind of monitor do I need. What kind of eyeglasses do I need? This is a really fun and also useful script. You will need a Monitor where each other row of pixels is polarized differently. e.g. the Zalman monitor http://www.zalman.com/ENG/product/Product_Read.asp?idx=219 . Although i like the monitor very much, there’s definitely a few drawbacks: It’s not full-hd.The images are only half-res in height (detail-loss). Requires a perfect viewing angle. There’s some ghosting. So if you’re thinking about getting a 3d monitor also checkout the solutions by iz3d, or Nvidia Nvision. More expensive, but better. HI great script:-)…. Is it possible to render an animation in max is looks like it only can render out 1 frame with anagryph..
Hi. you didn’t miss anything, it’s not possible to render a movie with anaglyph. sorry. But the feature will be available with the upcoming update in april. Danke für Deine Erklärung..werde das noch bissl testen und bin gespannt auf das angekündigte Video-Tutorial. Aber noch etwas anderes. Denkst Du es ist möglich, dass das Stereo-Kamera-Setup nach deinem Update rotierbar ist, sprich um die Sichtachse? Hab mich selbst dran versucht mit Parametervernetzungen, aber ist dann doch nicht so einfach umzusetzen, wie ich dachte. Vielleicht findest Du aber eine Lösung, wäre spitze! Weiter so und viel Spaß noch! that alone won’t do. I have uploaded a new version at scriptspot whith a functioning camera roll, though. edit: huch, warum antworte ich denn auf englisch? langsam verwirrt mich der Sprachenmischmasch :-D. Also, danke, dass du dich dem Problem angenommen hast, aber wie du wahrscheinlich schon gelesen hast hab ich das Problem bereits anders angegangen. edit: hab mir deine Lösung nochmal angesehen. sie ist eigentlich eleganter als mein Ansatz, also hab ich sie im nächsten update implementiert. danke. I was so happy to get this script, which seems to be very powerful. it would be so great to use this script and i would be glad if you can give me a hint to solve this problem. Hi there. The plugin seems great but I can’t download it, the file seems to be damaged, can u please upload it again? Thanks in advance. Which version of 3d studio max would you recommend? I’m using the 7th, maybe is that what gives me error. oh boy. max 7! that is sooo old. get max2009 or 2010, those versions are compatible. sorry. Hi…again! Do you know if it would work on the 8th or 9th version? I just read the system req of the 2009 and I’m short, so, which would be the oldest version that supports it? Sorry for bothering! Hey it works! awesome job dude! I install the 2010 and follow up your guides and got nice depth on the preview, do you have more videos of rendering the final image? It actually looks nice on the preview in terms of depth, but the colors change too much. Well thanks again and nice work! Hab ne Frage zu deiner Near- und Far-Range. Du schreibst oben, dass die Prozentwerte das Verhältnis zur Fokusebene wiedergeben. Da müsste die Far-Ebene ja bei deinen voreingestellten 75% zwischen Kamera und Fokusebene liegen!? Du hast in deinem Script dazu wilde Formeln aufgestellt, machen die Sinn?? Wie bist du nur auf die gekommen?? Ich würde sie halt gern verstehen und nachvollziehen..
Hallo David, ein wunderschönes und erstklassig umgesetztes Script. Vielen Dank! Meine Frage; Warum ist der Fokus nicht animierbar? Ändert der Foukus auch den Crop? Liegt es am Script? Oder ändert man in einer stereoskopie Animation aus Kopfschmerzgründen niemals den Fokus? Hi. Ja genau. Durch das verschieben vom Fokus ändert sich der crop. D.h. man braucht immer eine neue Bildbreite um den Fokus zu verschieben. Die Bildbreite lässte sich in Max nur leider nicht animieren, so der Fokus auch nicht. In der nächsten Version ist das Problem aber behoben. When I try to make a manual or batch render, I have parallel render. But when I use your “render cam left / right” button, I have a converge render! How can I setup my file in converge mode with the standard render menu. Because I would like send this file in a render manager like “Deadline”. Hi, I´m trying to render it trhough Deadline as well. Is there a way to do it? please be patient for the next version. I will be releasing it next week or so. lot’s of additional stuff and the deadline problem solved. Hi – Firstly amazing plugin. Just one question. I preview the anaglyph from within the stereocam_settings modifier and my image looks great. Great depth and no problems. Then when I batch render left and right camera (for the animation) the resulting composited Left/Right shift seems much greater than what I previewed causing eye strain and the 3D effect is poor. Basically the preview does not match the outputted result – Any ideas? Using max 2010.
simple solution. Don’t use batch render. Instead choose a outputimage as usual inside the renderdialog and then hit the render stereo button. This is going to be the correct output. The script will render the left sequence first with a “left_” prefix and a right sequence after that with a “right_” prefix. Really great script! I am doing some tests and just want to sugest something that I think is very important… Could you please add support for vray render elements ? The render elements filenames are not changing. Thanks ! Hi Diego. Your company is producing pictures of amazing quality. I am proud to know that you are using the Stereocam. Concerning your Suggestion: I am rewriting many parts of the script and Vray support is a big topic. I can promise that the workflow will improve a lot. Vray is my main task today. Hi, Awsome work. Is there a way to render the images in green/magenta insted of blue/red? Hi. No not yet. Mainly because I don’t have green/magenta glasses at hand. But I guess implementing the algorithm wouldn’t take much time then. When using the newest version of the two downloads, the preview / render stereo button just makes the rightCam as the preview/resulting file. No stereo effect. I install the latest version into max11, works great, but it says its version 1.0… even though I installed 1.6.4…any ideas? This is amazing, i really hope to get the latest, THANK YOU!!!!!! I don\’t see render \’center\’ in my max version… thats why i wonder if its really 1.6.4… thanks! Is it possible though to create an option, so that the whole rig can be aligned to an existing cam using not the pivot ot the stereoCam01 Spline shape, but to the left cam. My idea is just creating a stereoscopic shot from an already rendered 2D shot – i.e. just rendering the right cam and combining with the already rendered left cam (former standard cam) would result in a stereoscopic rendering. Thanks! I don’t know it there is an easy way to do so right now. But I will definitely add the function with an upcoming update. Hi, ich benutze 3ds Max 2011 SP1. Kann ich diesen Fehler irgendwie beheben ? Oder woran liegts (scheinbar haben andere Leute kein Problem mit 3ds max 2011) ? Das script funktioniert leider nur mit der englischen Version von 3dsmax. Das ist ärgerlich aber im Moment kann ich daran nichts ändern. Sorry. Hi thank you for putting this script online, it is great! I have one question about the “Toe-in” control in the latest version. The range goes from 0-1, so what value does this represent? i.e. is it an angle, a percentage, or some other units? hi. the value is a percentage. 0 = parallel/off-axis and 1=toe-in. I\’m proving your script version 1.6.4, it\’s a wonderfull script. unknown property: \"width\" in undefined. if i click in preview button to make one frame works well. Because it creates left, right and stereo video when is pressed \"composite each frame\". but when I doing the same with render stereo but for more keyframe works bad, appears the error that I write before. Excellent script! Would it be possible to modify the script so that a given camera could become the left eye rather than the middle? This is useful when you already have one eye rendered and simply want to render the other eye without having to render both eyes again. The vray stereoscopic rig has this, which is great. However, their plugin does not allow you to export the stereo cameras, and if you try to merge the helper, it crashes max (my experience). Anyway, I\’d rather use your script, as it is not tied to a particular renderer and is versatile. Just hoping for this extra ability to use existing camera as one of the eyes. sorry for the long time to reply. Yes of course I can implement that feature. good idea. thanks. nice to hear you’re enjoying the script. An excellent script, many thanks! Using it in Max 2012 and it’s working very well. Is there a way to create the preview anaglyph image using the max viewports shaded or wireframe views instead of the rendered images? This would be useful for scenes that take a long time to render. 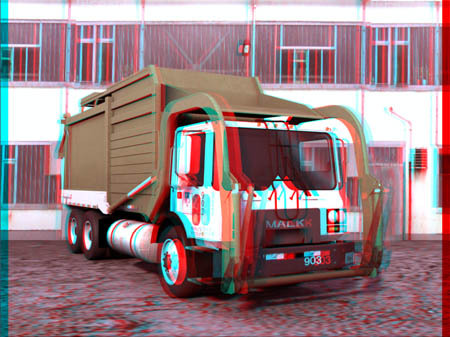 Can I render an image seuence in anaglyph format or just only the preview? When I hit render and tell Max to save the rendered images in an IFL results only in a left and right image sequence but no anaglyph. Rig looks awesome, I have been playing around with it this afternoon and it seems way better than the previous rig I had. I noticed on your video you mention about batch rendering. Im really going to need to network render for the project I am on. If I was to send the frames off to the network as I would for a standard camera but selcted each left and right cameras instead as seperate jobs, would that cause issues? Sorry thats are really complex question.